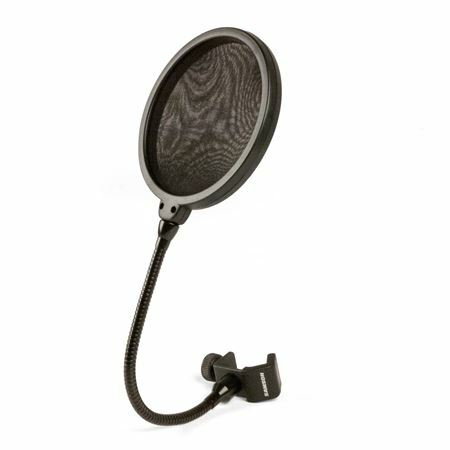 Shop Samson SAPS04 4 3/4" Dual Layer Nylon Mesh Microphone Pop Filter from AMS with 0% Interest Payment Plans and Free Shipping. 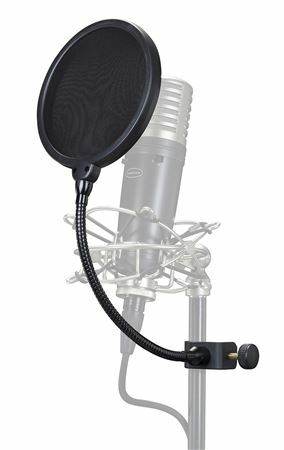 Microphone pop filter reduces vocal popping ("P-Pops") and sibilance. Designed for studio and podcasting applications where close micing requires filtering to guard against volume peaks and preserve intelligibility.